drooz doodles: featured artist of the day..
featured artist of the day.. 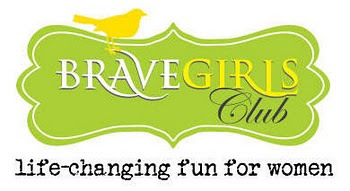 Through their website, blog, daily truth emails, Brave Girl Camp & Retreats as well as online classes they want to remind all women to feel…“safe, capable, powerful, happy, encouraged, connected, reminded & alive!” They do this because they just want to change the world, one BRAVE GIRL at a time. 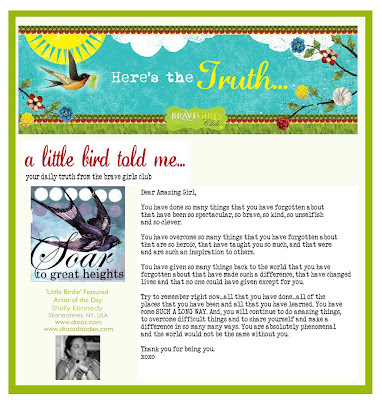 Please check out their blog (full of amazing stories, recipes, people, art, and adventures) … & be sure to sign up for “daily truths” emails… a perfect way to start each day! I do hope to make it to camp SOMEDAY! (preferable the mother/daughter retreat) an amazing retreat nestled in the mountains of Idaho.. until then... I'll visit with the brave girls online... and maybe I'll even get brave enough sign up for "Soul Restoration...a six-week online workshop"
I'm reading: featured artist of the day..Tweet this! I hope to make it one day too! Congrats to you. You are a secret worth sharing. Have a lovely Thanksgiving. thanks Jen... if i can get my work done soon - i'm making your peanut butter cookies thsi afternoon! have a great week! happy to see you on BRAVE GIRLS. i am a brave girl alum and it was AMAZING. i would LOVE the mother-daughter camp too. happy thanksgiving. i wish every single girl could somehow, someway make it to Brave Girls. It IS truly life changing!! i feel so blessed to have been a part of it!!! wishing you a happy happy thanksgiving! !